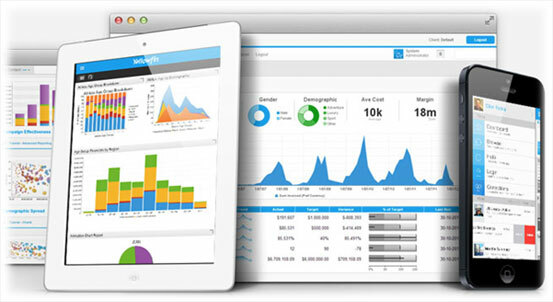 You expect your Business Intelligence solution to convert data into insights. However, finding insights is only half the puzzle, because data-driven insights are only valuable when shared. Traditional BI platforms leave you disconnected from where people make decisions – in the field, via email, and in meetings. Yellowfin is different; enabling faster and smarter collective decision-making. Yellowfin is redefining what Collaborative BI means in the BI industry. Make it easy for everyone to share important insights throughout your organization. 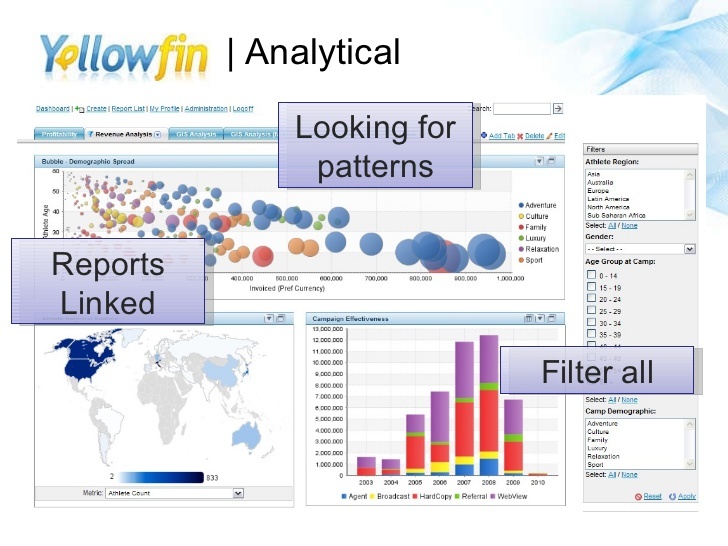 Disseminate Yellowfin reports, dashboards and Storyboards in a multitude of ways. Distribute, export and email BI content. Attach reports or dashboards to in-application discussions and share links to give people access to your insights. Share live and interactive reports or dashboards outside your BI solution, on any Web-based platform, with Yellowfin Connect – a YouTube style embeddable widget. Distribute your insights across platforms – whenever and wherever BI content is needed for discussion and decision-making. When it comes to discussing data, email falls short. Yellowfin Activity Streams combine human knowledge with business data to make your entire organization smarter. Strike-up a conversation related to any piece of Yellowfin content – be it a report, dashboard or Storyboard – while adding context with annotations, attachments, links and comments. Even begin a separate Discussion Stream on any topic within Yellowfin – analyze data, embed reports, create polls and exchange ideas with co-workers. Discover a better way of discussing the big issues, and collectively deciding the best course of action, with Yellowfin. Collaboration needs to be more than just comments on reports. That’s why Yellowfin introduced Timeline – seamlessly follow, share, interact and collaborate with the BI content, people and discussions that matter to you. Timeline – a Facebook-esc ‘wall’-like feed – creates a searchable, personalized, chronological catalogue of your individual activities and interactions within Yellowfin in real-time. See the latest insights as they happen, vote on ideas, as well as track and understand how decisions are really made within your organization. Timeline provides a truly collaborative BI experience that encapsulates your personal relationship with Yellowfin, your people and your data in one place.